By Sinead Makk | December 3, 2013. 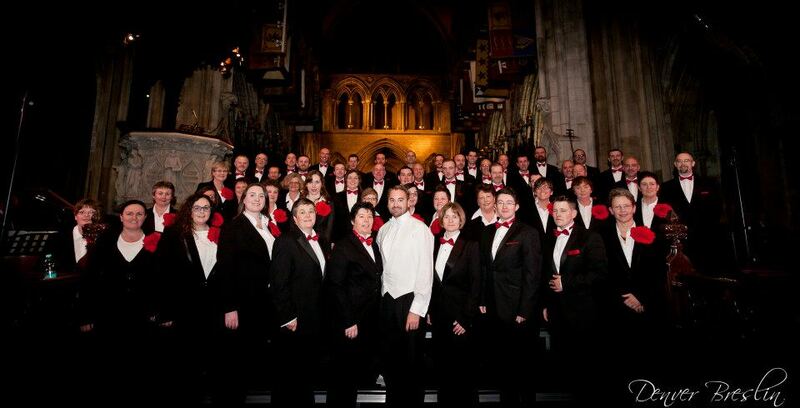 Dublin’s lesbian and gay choir Glória will give locals a great chance to get into the Christmas spirit this year, with their Christmas Concert taking place in the heart of the Liberties at St. Patrick’s Cathedral on the 13 December. Glória was formed in 1995 through an ad placed in Gay Community News looking for people to form a choir and currently it has about 65 singing members and 10 non singing members with its main aim to promote equality. “Our choir is made up of primarily gay and lesbian people and our mission is to entertain, break down prejudice and promote equality,” said the choir’s public relations officer, Richard Deane. It is now about to perform its 19th Christmas concert, however this is only the choirs fourth year performing at St. Patrick’s. “We chose St Patrick’s Cathedral because of its fantastic setting, acoustics, size and beauty. 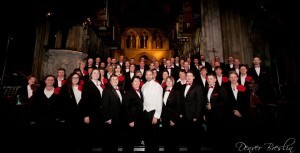 Given the rise in the popularity of the choir and as our reputation grew amongst the general Dublin population, we found that we had to get a bigger venue for our Christmas concerts,” said Deane. Ian Packham, the choir’s musical director is in charge of all song choices. The Christmas concert is one of the highlights for the choir each year and this year’s show will feature the traditional Christmas favourites, as well as a few surprises. According to Deane: “Christmas is the highlight of our year, everyone loves Christmas and our annual Christmas concert has proven to be very popular indeed. Our repertoire will feature some very traditional Christmas carols and yuletide favourites as well as other contemporary Christmas songs which we hope will surprise and delight our audience”. “Our musical director, Mr Ian Packham, chooses our songs very carefully and always peppers the concert with new and interesting takes on traditional favourites,” he added. Originally the concert used to be free, but given the popularity and the growth in recent years, Glória has introduced an online booking system and a small charge to cover the fees. From hiring the cathedral and the required equipment to organising lighting. There are a lot of costs involved in the successful running of the concert. If there are any profits remaining from the concert, the choir reinvest this money into community outreach programmes or use the profits so they can perform in charity events. Should the concert sell out, the choir will be singing to about 1,200 people. The show begins at 8pm on Friday the 13th of December and tickets, which cost €11, are available from www.gloria.ie or www.entertainment.ie/tickets .